Parc Botania offers an amazing 735 residential units in a 4 blocks of 22-storey buildings. 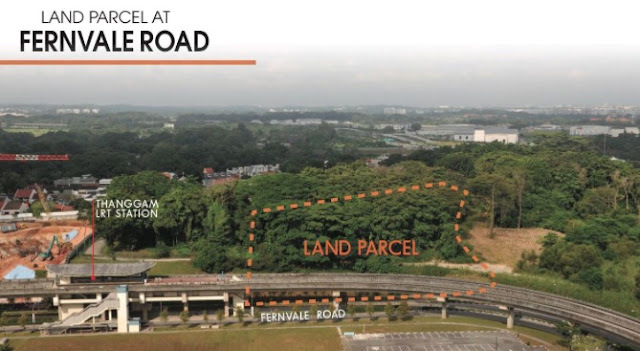 This development located along Fernvale Road in District 28, Singapore and is developed by the collaboration pf renowned developers Sing Development and Wee Hur Development. An expected TOP in 2021, Parc Botania offers a 99-year leasehold tenure to interested parties. With great class and modernity, Parc Botania units ensures that its future occupants will live a life that's beyond expectations. Each unit have layouts that flourishes with excellent space that can be maximized to perfectly fit its future occupant's need of space. With choices from 1-4 bedrooms, property-seekers are sure to enjoy the right unit that will absolutely suit their lifestyle. Each unit have a fabulous classy interior that is complemented with the latest high quality appliances and furniture. To ensure that the residents will have a safe a comfortable home, the units are designed and built the best quality finishing as well as superb lighting fixture to give a spacious atmosphere for each room. A vibrant and welcoming landscape warmly welcomes the future residents. Parc Botania also provides the best facilities for its residents to enjoy. Future occupants can conveniently work out at the property's very own indoor gym. Enjoy the warmth of the radiating sun against your skin as you swim on the crystal clear water of the swimming pool. Residents who have kids can have the opportunity to meet new acquaintances on the kids' club house. A spa & jacuzzi allows future occupants to relax and refresh their minds after a day's work.The large pavillion allows the future occupants to excitingly prepare for any occasion. A truly luxurious and premium home awaits those who wish to live with style. Parc Botania not only offers vibrant homes to live in but also a safe and comfortable abode that are equipped with the best handpicked facilities to ensure that the future occupants has it all to fit their chosen lifestyle perfectly with class and elegance. Don't miss the chance and grab this once in a life time opportunity. Parc Botania is located along Fernvale Road in District 28 of Singapore. Its busy yet tranquil environment provides peace and calmness to its future occupants. Providing the best facilities, residents can enjoy the convenience of using it with less travel time. Not only that, Parc Botania also give the residents the chance to travel from one place to another with great ease of access as a number of transport service are available within a few minutes from the residence. Sitting beside the Thanggam LRT, residents only needs to take a few steps to this station. The Sengkang MRT and numerous bus links also provide an excellent travel service to the residents. Expressways links the property to numerous locations within the district. These expressways include Tampines Expressway (TPE), Seletar Expressway (SLE) and Central Expressway (CTE). With great accessibility, residents can easily reach prestigious schools within a few minutes drive such as Fernvale Primary School, Pei Hwa Secondary School, Sengkang Green Primary School, Nan Chiau High School and Nan Chiau Primary School. Great entertainment and leisure activities awaits you at the shopping malls nearby like the Seletar Mall, Kopitiam Square, Rivervale Plaza, Rivervale Mall and Compass One Shopping Mall. 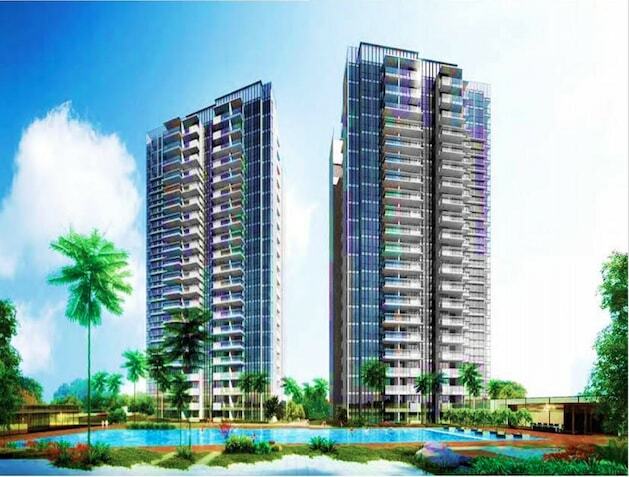 Parc Botania units varies from 1-4 bedrooms and is equipped with a comfortable layout. With 4 blocks of 22-storeys residential buildings that house 735 units to choose from, future occupants can have the option to choose the perfect spot and type of unit that will suit their lifestyle. Each room which are presented with an interior that has both class and elegance are supplemented with high quality finishing and excellent lighting feature to ensure that a capacious ambiance is achieved. The modern appliances and furniture blends well with its interior. The total site area of 17,196 sq.m, Parc Botania is well equipped with the finest range of facilities for a convenient residential experience. Some of these facilities include a huge pavilion, kids' club house, indoor gym, superb swimming pool with pool deck and BBQ pits for your weekend parties. Based totally at the nearby condos current transactions, launches and nearby government condos around Fernvale and Sengkang such as High Park Residences and Riverbank @ Fernvale, it is expected that the Parc Botania launch price is probably approximately over S$1000 to S$1150 psf. Be aware that this isn't the very last selling rate as Wee Hur and Sing Holdings will conduct a comparative market analysis and price the release for that reason. This parent above is simply an estimate based totally at the cutting-edge marketplace, which is characterized with the aid of low-charges and a unstable environment. If land expenses increase, developers may additionally alter fees for this reason to boom their earnings margins. If costs drop, then builders will lower their expenses to live competitive and boom the likelihood of promoting their devices. Similarly, the price of production can vary. The $350 psf is an approximation, however other developments, inclusive of luxurious condos, can run as high as $450 in keeping with rectangular ft. other excessive-cease homes can have even better charge in line with square foot fees. Sitting serenely in a busy yet peaceful location in District 28, along Fernvale Road is the luxurious Parc Botania. This property offers various units between 1-4 bedrooms. Units are equipped with the finest choice of appliances and furniture that blends well on its interior. Built by the renowned Wee Hur Development and Sing Development, Parc Botania has a total of 735 units that are house on a 4 blocks of 22-storey buildings to ensure that enough space are provided to fit the future occupants' needs. Facilities that are up-to-date provides great convenience to the residents. Just right beside the Thanggam LRT, future residents will have the privilege of traveling to different locations and amenities with great convenience. Linked by a number of expressways like Seletar Expressway (SLE), Central Expressway (CTE) and Tampines Expressway (TPE) driving to your destination is as easy as 1,2,3. Conceptualized to provide maximum comfort to property-seekers, Parc Botania is set to give the future occupants a good residential vibe that they will surely love.